When living in a large city or metro area, I think it makes sense to stay close to the area you already live in, when looking for aÂ retirement home.Â You get used to the amenities in a metro area that would be hard to find in a mountain, lakeside or other resort areas.Â Â A 55+ community in a smaller town on the edge of a metro area is what most folks come to realize is the perfect solution. 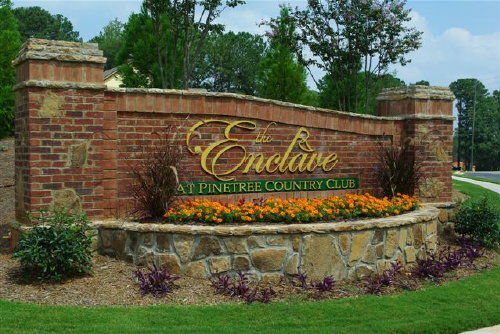 A luxury 55+ community in the Atlanta Georgia area that sounds perfect is The Enclave at Pinetree Country Club. It is close enough where you can still lunch or visit with your long time friends and relatives in the metro area, yet enjoy the country club and on site amenities that 55+ like to enjoy.Â It is located in Kennesaw GA up near I-75 and I-575, so it is part of the metro Atlanta area, but maybe not in the hustle and bustle your current home is. New model homes are now open and ready to tour. Contact Robyn at the link above.